Pneumonia is an infection of the lungs, which is accompanied by both mild and serious symptoms. Do I have pneumonia? This is a question that has been disturbing many people at various points of their lives. Some of the symptoms associated with this infection, and which you may use to tell whether you are suffering from pneumonia, include fever, difficulty in breathing and coughing. In healthy people, this condition is easy to treat at home and should clear in two to three weeks. However, the symptoms of pneumonia can be severe in children and aged people, hence requiring urgent medical attention by a qualified doctor. The infection occurs when one inhales the causal germs. 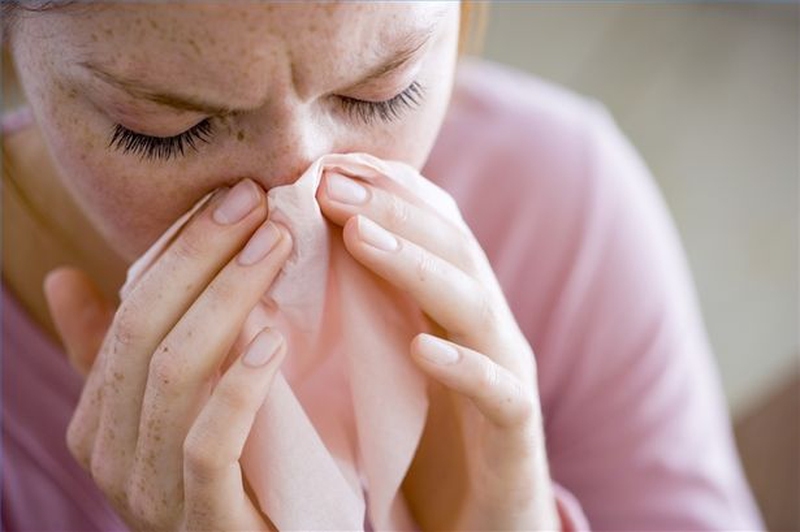 However, there are certain conditions that may predispose someone to this infection, such as flu and cold. Such conditions weaken immunity of the lungs, making it easier for the patient to contract pneumonia. Additionally, long-term disorders, such as heart disease, asthma, diabetes and cancer may also predispose the body to pneumonia. However, symptoms of this infection will vary depending on the causal agent, whether it is viral or bacterial. If the infection is viral, the initial symptoms will be similar to influenza symptoms, including a dry cough, muscle pain, headache, fever and weakness. Within 12 to 36 hours, the patient will experience increasing breathlessness and the cough will worsen. Bacterial pneumonia, on the other hand, will lead to a fever of about 105 degrees Fahrenheit, the pulse and breathing rate will increase rapidly and the nail beds as well as the lips may change to bluish color. This is due to lack of enough oxygen in the blood. Additionally, bacterial pneumonia may make the patient delirious or confused. Do I have pneumonia? Having one or multiple of the symptoms mentioned above is not a conclusive indicator that you are suffering from pneumonia. Rather than rushing to self medicate yourself, it is advisable to visit a doctor for a proper diagnosis. Mentioned below are some of the diagnostic tests that may be carried out by your doctor to ascertain whether you have this infection. Physical exam: Using a stethoscope, the physician will listen to your lungs. If you are suffering from pneumonia, the lungs will produce a bubbling, crackling and/or rumbling sounds as you breathe in. Additionally, you may also produce a wheezing sound while breathing. CBC blood test: This test is carried out to determine the number of white blood cells in the blood. Chest x-ray: If the doctor suspects that you are suffering from pneumonia, he or she may order for a chest x-ray to ascertain the suspicion. CAT scan of the lungs is conducted to see whether the lungs are functioning normally. Arterial blood test to determine the level of oxygen in the blood. Pleural fluid culture test: This will be conducted if there is a fluid in the space surrounding the lung tissue. Sputum tests to ascertain the causal agent. Pulse oximetry is to examine the flow of oxygen through the circulation system. Drinking a lot of fluids will help bring up phlegm and loosen the secretions. Controlling the fever with nonsteroidal anti-inflammatory drugs or aspirin. However, aspirin should not be administered to children. You should also avoid taking cough syrups. If the symptoms are severe, which is the case for children and old people, the antibiotics and fluids will be introduced into the body through the veins. If you happen to be hospitalized because of pneumonia, breathing treatments as well as oxygen therapy will be administered. If it has been ascertained that the causal agent is a virus, normal antibiotics may work. However, the doctor may prescribe antiviral medication. If the pneumonia is bacterial, macrolide antibiotics will be used if the condition is mild. However, if the patient is suffering from other serious conditions, such as chronic emphysema, heart disease or diabetes, a higher dose of antibiotics will be prescribed. Additionally, the doctor may prescribe medication to ease chest pain and offer relief from the violent cough.